Vitamin B6 in pregnancy is critical for various functions, including development of the baby’s brain and nervous system. Learn the dosage and good food sources. Vitamin B6 is a water-soluble vitamin that is naturally present in food like organ meats and starchy vegetables. This B-group vitamin is essential and is involved in more than 100 body processes, including metabolizing carbohydrates, proteins, and fats. Vitamin B6 is vital for digestive, cardiovascular, muscular and immune functions. It is also necessary for proper functioning of the nervous system and the brain. Additionally, expectant women need adequate amounts of vitamin B6 for the benefit of their health and that of their unborn babies. Why Do You Need Vitamin B6 During Pregnancy? Vitamin B6 is an essential component for the proper functioning of the body. Vitamin B6 helps both you and the baby to metabolize proteins and carbohydrates in addition to the formation of red blood cells and neurotransmitters. The vitamin is essential in the development of the baby’s brain and nervous system. Vitamin B6 is also required for production of key neurotransmitters such as serotonin and norepinephrine. Certain doses of vitamin b6 recommended by your doctor can help reduce morning sickness and nausea during pregnancy. It helps the body to maintain healthy blood glucose levels. It helps prevent low birth weight and early childhood skin problems such as eczema. How Much Vitamin B6 Should You Take? A daily dose of 1.3mg is recommended for most people who are under the age of 50. Pregnant mothers should aim to take a daily dose of 1.9mg per day while breastfeeding mothers should take slightly more at 2mg of vitamin B6 per day. 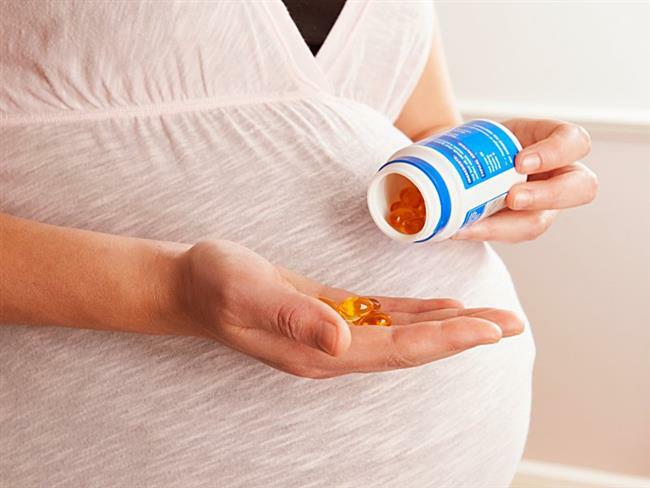 Pregnant women should exercise caution not to take excess or more than the daily recommended dose of the vitamin although slightly more could be harmless. Vitamin B6 can be harmful when it is taken in excess and may cause numbness, nervous system damage and other conditions. Precise doses of vitamin are used to control nausea and morning sickness during pregnancy. However, it is not clear exactly how vitamin b6 accomplishes this. Before taking vitamin b6 supplements, it is important that you seek medical advice first. The recommended dosage for morning sickness is usually 25mg to 50mg, depending on the severity of the morning sickness. Again, be careful not to overdose as this may have a counter effect and lead to more severe conditions. Organ meats such as liver, lean meat, fish, and nuts are excellent sources of the vitamin b6 in pregnancy. Fruits such as bananas avocados and dried fruits such as raisins are also good sources. If you commit to eating a well-balanced meal every day, you should be able to get all your daily requirements of vitamin b6 in pregnancy. Besides, most prenatal vitamins contain almost 100% of the required dose. Most high energy drinks and snack bars contain high amounts of vitamin b6 so be sure to read the labels before taking any. There are various factors that could lead to a deficiency of vitamin B6, the most common one being inadequate intake of the vitamin. Other causes include some ailments and illness and lifestyle choices such as consumption of alcohol, foods that are high in sugar and processed foods. It is quite reasonable for a person to have a slight deficiency of vitamin b6 but the risk increases in pregnancy because the demand for the vitamin increases significantly. All in all, cases of severe deficiency are uncommon. The symptoms for vitamin b6 deficiency are mostly depression, ulcers, inflammation of the tongue and sores. If you suspect that you or anyone around you is having vitamin B6 deficiency, you should seek medical care immediately to avert any dire consequences for both the mother and baby.